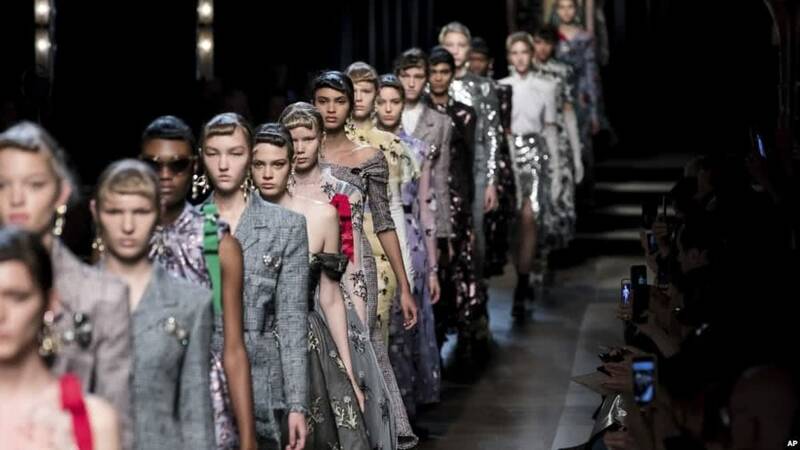 Milan was in fibrillation for Fashion Week, which took place from February 19 to 25, the capital of Lombardy was confirmed as the Italian and international glamor capital with a series of events that fashion lovers could not miss. Fashion shows, collections and presentations wrapped Milan in an embrace of refinement and elegance. On February 21st attended the new collections by Max Mara, Fendi, Moshino, Emporio Armani, Prada, Vivetta, Luisa Beccaria et others master of fashion. On February 22nd showed off the last pieces made by Blumarine, Etro, MSGM. Bottega Veneta, Marco de Vincenzo Versage and other famous designers. On February 23th was then the turn of Ermanno Scervino, Missoni, Ferragamo, Phylosphy Di Lorenzo, Cavalli, GCDS folllowed for others famous brands. Finally, on February 24th, Stella Jean, Laura Biagiotti, Antonio Marras, Angel Chen concluded the series of events on the calendar with a real triumph of elegance. Digital News Fashion also appreciated the excellent Italian production with Milano XL, the great festival of Italian creativity that showed the latest products designed for women, made in chains of Italian supply and reordered throughout the perimeter of the city. In the “Palazzo della Ragioneria” was created the library fabrics, it was a representation of a large wooden library not full of books, but with fabrics, the raw material of fashion artisans. The masks painted by a fascinating range of colors embellish the “Palazzo della Rinascente”. In the Vittorio Emanuele Gallery a selection of works of art was exhibited along with a selection of the most beautiful contemporary Italian jewels. Visitors and curious people walked through the evocative and fascinating Via Montenapoleone during the official Fashion Week. Officially, Milan Women Fashion Week began on Tuesday the 19th at night.There were “seven days” dedicated to Made in Italy that really came alive. “This edition of Milano Moda Donna, said Carlo Capasa, President of the National Chamber of Italian Fashion – represents a mirror of creativity with a calendar that allows each brand to express its innovative form of communication and storytelling. 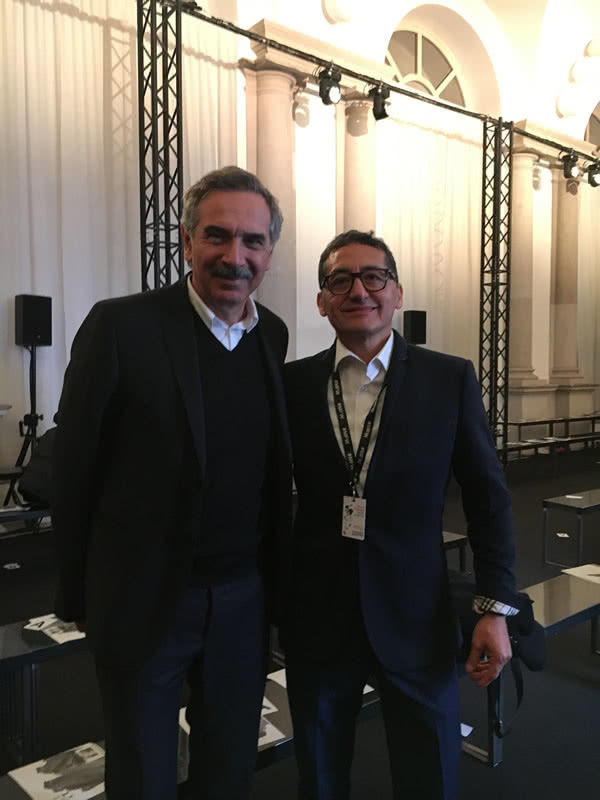 President of the National Chamber of Italian Fashion Carlos Capsa & Cesar Calle La Rosa Journalist and Founder of Digital News Fashion-Switzerland.